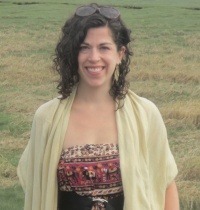 TCi is delighted to welcome another new post-doctoral associate to its research team: Julia Felice. Dr. Felice will be examining national agriculture and nutrition data to elucidate elements of food insecurity that may result from inadequate availability of nutrients in the food supply vs. inadequate or inequitable accessibility of those nutrients to the population. Here, she shares a bit about her novel approach and how she hopes to apply her background in nutritional science and maternal and child health to improve national food security and reduce malnutrition. Adequate nutrition in the first years of life is critical for children’s short- and long-term growth, health, and development, as well as how well they achieve their cognitive potential and capacity to be healthy, productive adults. My work with TCi will target food insecurity and its potential consequences in India, with a focus on children under the age of 5, the availability of nutrition to these children, their access to that nutrition, and the potential health consequences therein. I will specifically focus on zinc intake, as zinc deficiency is widespread in India despite a food supply that is seemingly abundant in zinc. By examining this gap, this project may provide key insights into whether practical solutions to reduce malnutrition might target what food is produced vs. how that food reaches populations. This work is particularly compelling to me because it allows me to look at my areas of expertise and interest—nutritional science, maternal and child health, and disparities in nutrition and health—from a completely different vantage point and context. I bring to TCi a multidisciplinary background that has pointed me toward, and will inform, this work. I recently received my Ph.D. in Nutritional Sciences at Cornell University. This training, and my background in biology at the Massachusetts Institute of Technology, underpin my interest and expertise in the links between human nutrition and the health and well-being of individuals, families, communities and countries. I previously worked as a public high school teacher in an economically depressed county; those years illuminated socio-demographic disparities in access to nutrition, and the educational and economic consequences of these disparities. It was this experience that brought me to Cornell, which, in turn, uncovered my powerful interest in maternal and child health. This interest was further set alight by my dissertation research into the emergent trend of pumping and bottle-feeding breast milk in the United States. My doctoral work and my teaching experience here at Cornell have also begun to illustrate to me how food systems, local and national economies, and social and cultural values interact to impact access to nutrition. I am eager to bring my experience and expertise to this as-of-yet unfamiliar context, and hopefully to yield some insights into how practical solutions might be implemented to improve food security and reduce malnutrition in India. An early step of this work is to examine the nutritional adequacy of the national agricultural output in India. Specifically, I will characterize the per-capita availability of micronutrients of interest (e.g. zinc, as well as iron and vitamin A) in the food supply, given individual dietary needs and national agricultural output. Next, I will use Indian dietary intake data to characterize children’s intake of food groups that are the most important sources of zinc. In this step, I can elucidate which children show the biggest deviation between the zinc they may be accessing compared to the zinc available in the food supply. These data may show where efforts might be best spent by, for example, improving the quantity and quality of foods in the food supply and/or by improving access to those nutrients for certain groups. Last, I hope to use national data on child deaths and illnesses to quantify the public health burden caused by zinc deficiency in young children. As the food supply seemingly has enough zinc for everyone, this last step may illustrate the deaths and illnesses that might be prevented were that zinc distributed equitably—i.e., if childhood zinc deficiency were eliminated in India.